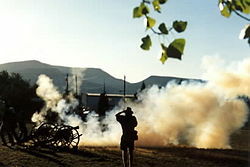 Cannon in a Civil War re-enactment: The smoke created by the discharge of black powder often affected visibility significantly. Black powder is the original gunpowder; it was one of the few known propellants and explosives until the middle of the nineteenth century. Since then it has largely been superseded by more efficient explosives such as smokeless powders for use in guns, and TNT for blasting and bomb-making purposes. Black powder is still manufactured today, however, primarily for use in fireworks, model rocket engines, and muzzleloading weapons. The primary problem with black powder is that when fired it produces a cloud of smoke. This smoke obscures the target; it also makes the position of the shooter readily discoverable. In addition, the amount of energy in a given unit of black powder compared to the energy in the same amount of smokeless powder is relatively small. Today there are shooting competitions limited to guns using black powder, and some jurisdictions have special hunting seasons restricted to muzzleloading or black powder guns. 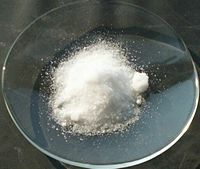 Saltpeter is the primary ingredient in black powder, accounting for almost 75 percent of its content by weight, followed by charcoal and sulfur. Black powder consists of the granular ingredients sulphur, charcoal (provides carbon to the reaction), and saltpeter, KNO3 (provides oxygen to the reaction). The products of burning do not follow any simple equation. One study showed 55.91 percent solid products (potassium carbonate, potassium sulfate, potassium sulfide, sulfur, potassium nitrate, potassium thiocyanate, carbon, ammonium carbonate), 42.98 percent gaseous products (carbon dioxide, nitrogen, carbon monoxide, hydrogen sulfide, hydrogen, methane), and 1.11 percent water. The current standard for black powder manufactured by pyrotechnicians today is 75 percent saltpeter, 15 percent softwood charcoal, and 10 percent sulfur; it appears to have been adopted as far back as 1780. For the most powerful black powder "meal" a wood charcoal is used. The best wood for the purpose is pacific willow, but others such as alder or buckthorn can be used. The ingredients are mixed as thoroughly as possible. This is achieved using a ball mill with a non-sparking grinding apparatus (e.g., bronze or lead), or similar device. Historically, a marble or limestone edge runner mill, running on a limestone bed was used in Great Britain; however, by the mid-nineteenth century this had changed to either an iron shod stone wheel or a cast iron wheel running on an iron bed. The mix is sometimes dampened with alcohol or water during grinding to prevent accidental ignition. Cloud of smoke caused by black powder explosions during a fireworks display; fireworks are made with black powder. Black powder is also corned to change its burn rate. Corning is a process that first compresses the fine black powder meal into blocks with a fixed density (1.7 g/cm³). The blocks are then broken up into granules. These granules are then sorted by size to give the various grades of black powder. Standard U.S.A. grades of black powder run from the coarse Fg grade used in large bore rifles and small cannons though FFg (medium and smallbore rifles), FFFg (pistols), and FFFFg (smallbore, short pistols and priming flintlocks). To reduce accidental ignition due to an electrostatic discharge, coarse black powder grains are sometimes coated with graphite dust, preventing charge build-up during handling. Very coarse black powder was used in mining before the development of nitroglycerin and dynamite. Black powder is classified as a low explosive which means it only deflagrates (burns) rapidly. High explosives instead detonate at a rate approximately 10 times faster than the burning of black powder. For shipping purposes, the United States Department of Transportation classifies it as a "Class A High Explosive" because it is so easily ignited. Highly destructive explosions at fireworks manufacturing plants are rather common events, especially in Asia. Complete manufactured devices containing black powder are usually classified as "Class C Firework," "Class C Model Rocket Engine," etc. for shipment because they are harder to ignite than the loose powder. 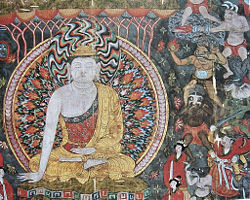 Earliest known representation of black powder-based devices: A fire lance and a grenade, in a tenth century illustration that juxtaposes these weapons of war (upper right) with the peace of a Buddha. The earliest surviving description of saltpeter-aided combustion was written in the ninth century. The explosion recorded was an accidental by-product of Taoist alchemical efforts to develop an elixir of immortality. A book dating from c. 850 C.E. called "Classified Essentials of the Mysterious Tao of the True Origin of Things" warns of one elixir, "Some have heated together sulfur, realgar and saltpeter with honey; smoke and flames result, so that their hands and faces have been burnt, and even the whole house where they were working burned down." The impetus for the development of explosive weapons in China was the increasing encroachment by tribes on its borders. The Wujing Zongyao (武经总要, "Collection of the Most Important Military Techniques") of 1044 C.E. contains three recipes for explosives considered to be the first "true gunpowder" recipes: Two for use in incendiary bombs to be thrown by siege engines (one containing 48.5 percent saltpeter, 25.5 percent sulfur, and 21.5 percent other ingredients, and the other containing 50 percent saltpeter, 25 percent sulfur, 6.5 percent charcoal, and 18.75 percent others) and one intended as fuel for poison smoke bombs (38.5 percent saltpeter, 19 percent sulfur, 6.4 percent charcoal, and 35.85 percent others). One of the recipes describes a "thorny fire-ball" bomb containing small, spiked iron balls designed to stick to targets and set them alight. It calls for a mixture of sulfur, saltpeter, charcoal, and other ingredients to be packaged into a ball that is lit just prior to being launched from a catapult. Printed editions of this book were made from about 1488, and in 1608 a hand-copied edition was made. The Chinese began to use these explosives as a form of incendiary projectiles or fire arrows in warfare by 904. The Chinese probably began to use rockets in war in the middle of the thirteenth century and rockets are clearly evidenced by the fourteenth century. Thirteenth century Chinese hand cannon. This device used black powder as a propellant for a projectile. Another early use of saltpeter explosives as a weapon was the "fire lance," a handheld flamethrower which could also be loaded with shrapnel. By the late 1200s the Chinese had developed these into the earliest guns. After 1279, most guns taken from the major cities were kept by the Mongols, and in the 1330s a Mongol law prohibited all kinds of weapons in the hands of Chinese civilians. An account of a 1359 battle near Hangzhou records that both the Ming Chinese and Mongol sides were equipped with cannons. The oldest cannon in China was excavated in Acheng in 1970, dated prior to 1290 by Wei Guozhong. 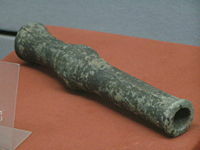 Another discovery was the inscribed metal cannon dated to about 1298 (大德二年). This cannon is similar to the bronze cannon of 1332 (至顺三年) that also had a date inscription. In 1974, an agglomeration of ingredients that contains 60 percent saltpeter, 20 percent sulfur, and 20 percent charcoal, dated to the late thirteenth century, was unearthed in the city of Xi'an. Many early mixtures of Chinese gunpowder also contained toxic substances such as mercury and arsenic compounds. After the Mongols conquered China in the 1270s, the use of cannon and rockets became a widespread feature of East Asian warfare. The low, thick city walls of Beijing (started in 1406), for example, were specifically designed to withstand a gunpowder artillery attack, and the Ming dynasty (1368-1644) moved the capital from Nanjing to Beijing in 1421 because the hills around Nanjing were good locations for invaders to place artillery. Saltpeter combustion spread to the Arabs in the thirteenth century. "Around 1240 the Arabs acquired knowledge of saltpeter ('Chinese snow') from the East, perhaps through India. They knew of gunpowder soon afterward. 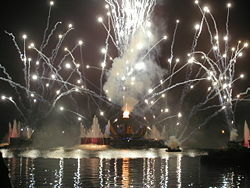 They also learned about fireworks ('Chinese flowers') and rockets ('Chinese arrows')." The Turks destroyed the walls of Constantinople in 1453 with 13 enormous cannon bores up to 90 cm firing a 320 kg projectile a distance of over 1.6 km. 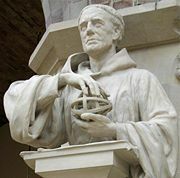 The first written recipe for gunpowder in Europe is a recipe for pure black powder, set down by Roger Bacon in 1242 and later mentioned by him in 1252, 1257, and 1267. This is the earliest extant written recipe for pure black powder, without any additional ingredients, from anywhere in the world. The fifteenth through seventeenth centuries saw widespread development in gunpowder technology, mainly in Europe. Advances in metallurgy led to portable weapons and the development of hand-held firearms such as muskets. Cannon technology in Europe gradually outpaced that of China and these technological improvements transferred back to China through Jesuit missionaries who were put in charge of cannon manufacture by the late Ming and early Qing emperors. The latter half of the nineteenth century saw the invention of nitroglycerin, nitrocellulose, and smokeless powders, which soon replaced black powder in many applications. Until the invention of explosives, large rocks could only be broken up by hard labor or by heating them with large fires followed by rapid quenching. Black powder was used in civil engineering and mining as early as the fifteenth century. The earliest surviving record for the use of gunpowder in mines comes from Hungary in 1627. It was introduced to Britain in 1638 by German miners, after which records are numerous. Until the invention of the safety fuse by William Bickford in 1831, the practice was extremely dangerous. Another reason for danger was the dense fumes given off and the risk of igniting flammable gas when used in coal mines. The first time gunpowder was used on a large scale in civil engineering was in the construction of the Canal du Midi in Southern France. It was completed in 1681 and linked the Mediterranean sea with the Bay of Biscay with 240 km of canal and one hundred locks. Another noteworthy consumer of black powder was the Erie Canal in New York, which was started in 1817, was 585 km long, and took eight years to complete. Black powder was also extensively used in railway construction. At first railways followed the contours of the land, or crossed low ground by means of bridges and viaducts. But later railways made extensive use of cuttings and tunnels. A particular eight hundred meter stretch of the 3.3 km Box Tunnel on the Great Western Railway line between London and Bristol consumed one ton of gunpowder per week for over two years. The 12.9 km long Mont Cenis Tunnel, begun in 1857, was completed in 13 years, but even with black powder, progress was only 25 cm a day until the invention of pneumatic drills which sped up the work. ↑ Kelly. 2004. p. 3. ↑ Kelly. 2004. p. 4. ↑ Kelly. 2004. p.10; Xu. .1986. p. 29. ↑ Needham. 2004. p. 122. ↑ Kelly. 2004. p. 15. ↑ Kelly. 2004. p. 17. ↑ Kelly. 2004. p. 22. Feng, Jiasheng, The Invention of Gunpowder and Its Spread to The West. Shanghai: Shanghai People's Press, 1954. Urbanski, Tadeusz, Chemistry and Technology of Explosives. Volume III, Warszawa: Polish Scientific Publishers and Pergamon Press, 1967. Xu, Huilin, A History of Chinese Black Powder and Firearms. Shanghai: Kexuepuji Press, 1986. Bretscher, Ulrich, Ulrich Bretscher's Black Powder Page. This page was last modified on 13 June 2016, at 18:29.